By way of introduction, my name is Michael Hinojosa. I am proud to serve as Dallas ISD superintendent. Dallas is my home. I am a graduate of Sunset High School, started my career in education as a teacher and coach at W.H. Adamson High School, and have two sons who graduated from Hillcrest High School. I served an initial term as superintendent in Dallas ISD from 2005-2011, and returned as interim superintendent in July 2015. In October 2015, the Board of Trustees formally approved my return to the district as superintendent. As someone who has experienced our schools as a student, parent, and leader, I know how much the hard work and dedication of the staff and community have helped Dallas ISD students, and your efforts are both appreciated and admired. Dallas ISD has set high expectations for our schools and put a number of initiatives in place with the goal of preparing every student for college and the workforce. We will continue to uphold those high expectations and implement the key initiatives already underway, including the Teacher Excellence Initiative, more Public School Choice opportunities, and expanded Early Childhood and Career and Technical Education programs, all of which are in the best interest of our students. I look forward to working with you to help all Dallas ISD students and staff members succeed in every way. Dr. Michael Hinojosa returned to Dallas ISD when he was named by the board of trustees to serve as superintendent in October 2015. 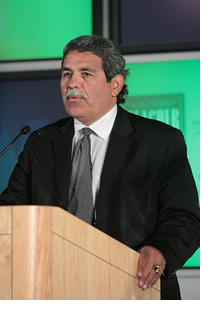 Dr. Hinojosa has served 20 years as a superintendent/CEO of six public education systems, including two of the 25 largest school systems in America, Dallas ISD in Texas and the Cobb County School District in suburban Atlanta, Georgia. His career in public education, from teacher and coach to superintendent/CEO, spans more than three decades. With a firm belief that education and not environment is the key to a student’s success, he has led several school districts to improved student achievement. 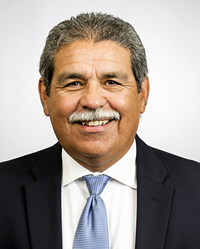 Dr. Hinojosa’s recognitions include being named 2002 Superintendent of the Year by the Texas Association of School Boards and 2005 Superintendent of the Year by the University of Texas at Austin. He was honored as Distinguished Alumnus by the College of Education at Texas Tech University and as the Outstanding Latino Educator by the Association of Latino Administrators and Superintendents in 2014. He is a past president of the Texas Association of School Administrators. He has served as an educational consultant for various organizations that support public education, including as a master teacher and coach for the American Association of School Administrators and the Association of Latino Administrators and Superintendents. Dr. Hinojosa, a proud graduate of Dallas Independent School District, holds a doctorate in education from the University of Texas at Austin. He and wife Kitty have two sons, graduates of Princeton University and Harvard University. He has a son from a previous marriage who graduated from Texas Tech University. All three attended Dallas ISD for a significant portion of their K-12 careers.